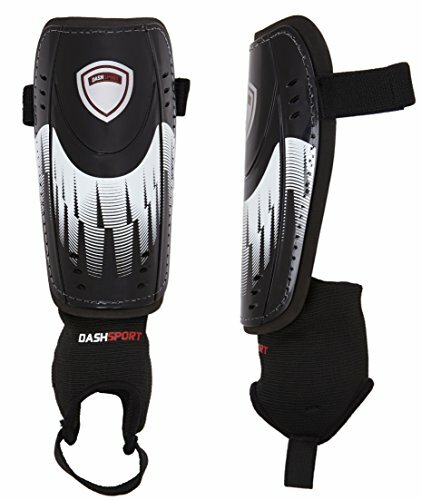 Shin Guards by DashSport – Youth Soccer Shin guards with Ankle Sleeves – Great for Kids – Meets Safety Requirements! 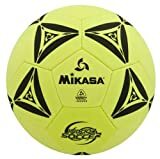 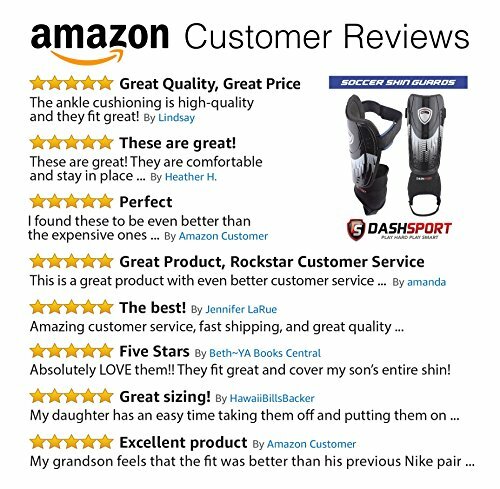 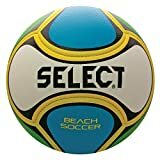 – Cruz Our Garage, Inc.
Soccer Shin Guards by DashSport – Cool Unisex design with ankle sleeves – Great for Kids.For best sizing: Shin Guards should cover no more than 75% of the shin length. 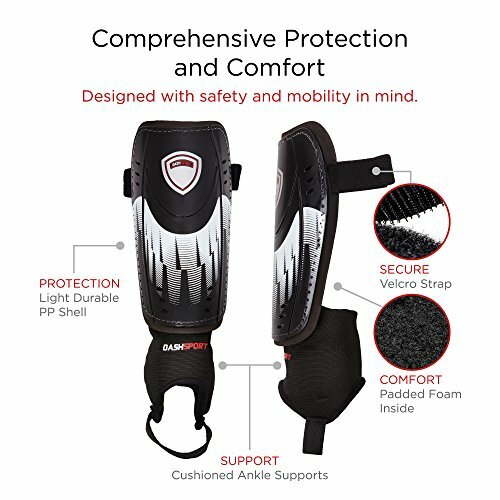 This provides protection and allows for movement and comfort. 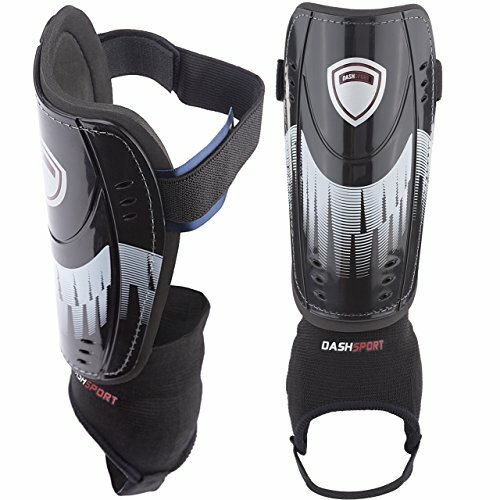 For shin size measure from bottom edge of your kneecap down to the top of your foot. 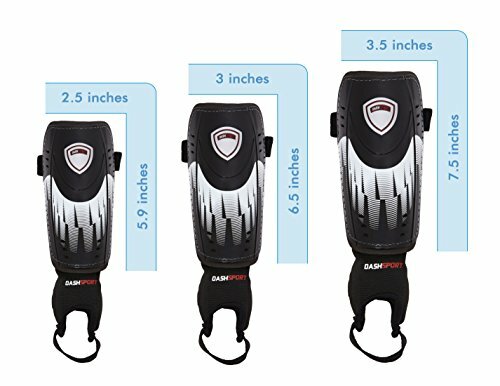 Shin Guard Sizing: X-Small = 15 CM / ~6 inches Small = 16.5 CM shell / ~ 6.5 inches Medium = 19 CM Shell / ~7.5 inches If Shin size is not available, base it on height: Size XS – for child up to 3’11” Size S – for child up to 4’7″ Size M – for child or adult up to 5’3″. 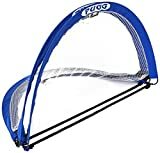 "A good rule of thumb is that guards should fit from a couple inches below the knee to just above the bend of your ankle." 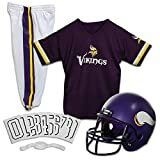 "Measure from two inches below the knee to just above the bend of your ankle. 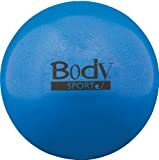 This is the area that your shin guard should cover. 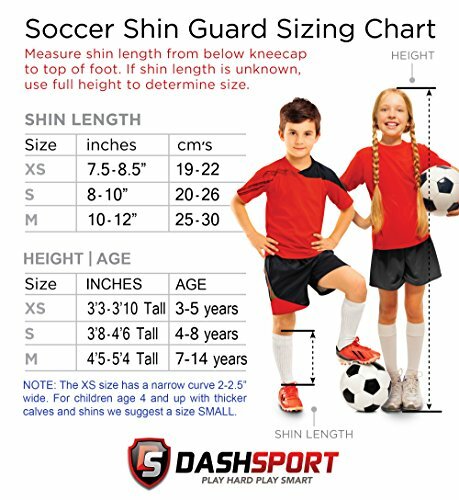 The length of this measurement determines the ideal size for your shin guard."